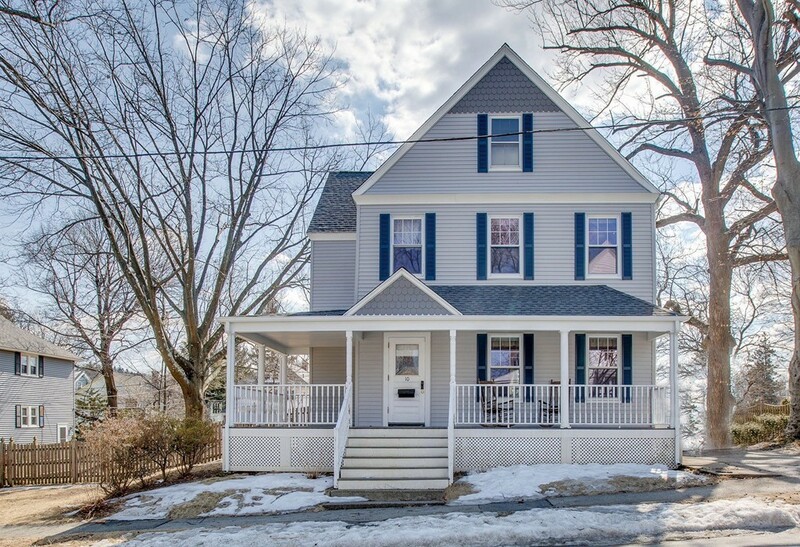 Lovely Colonial on side street off Burncoat St, close to Burncoat Park, & very accessible to Rte 290 & downtown Worcester. A 3 BR home, but feels larger as it includes a nursery & a home office on 2nd floor. A Farmers Porch graces front of the home, & a huge deck overlooks level fenced-in back yard. Front & back staircases. Custom built mudroom w benches, hooks & shelves, new ext siding, roof, & gutters. Renovated kitchen w cherry cabs, granite, sharp-looking black appls, & two-tier center island w breakfast bar. Other updates incl insulation, 200 amp electrical service, insulated windows, some refin wood floors, some interior paint. Period details throughout...wood flooring, high ceilings, built-ins, original door and window casings (never been painted! ), pocket doors, stain glass window, ornamental fireplace w intricate hearth and mantle. Offers, if any, reviewed Tuesday 4/2 at 12:00. Sellers prefer a closing of May 30 and rent back the house until June 15.